This article was originally published on iancorless.com (It is reprinted with agreement due to our sponsorship of the Training For… Series). In a very short period of time, he completed the Ultra-Trail du Mont-Blanc on four occasions progressing each year to finally place 5th. 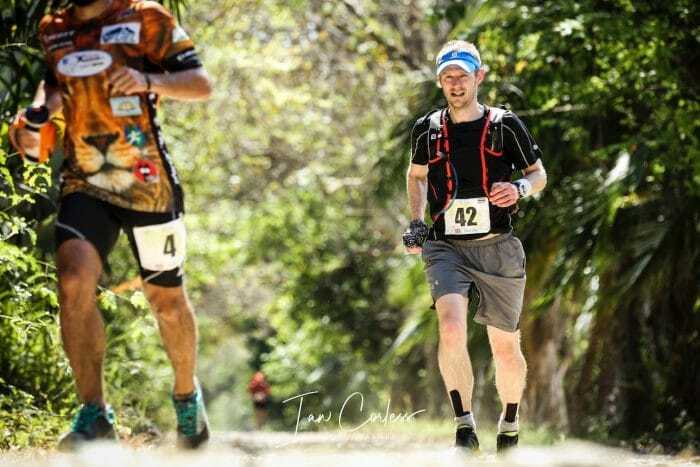 He has run Marathon des Sables in the Sahara Desert, the Ice Ultra in Arctic Sweden, The Coastal Challenge in Costa and has excelled at multi-discipline and long distance races in the UK such as The Spine, The Dragons Back and the UK Trail Championships. 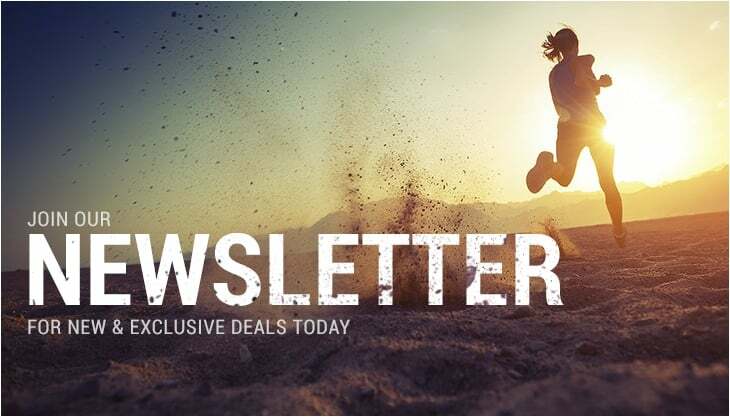 We are very fortunate to have myRaceKit sponsoring several articles on ‘Training for…’ in this scenario, the UTMR, the Ultra Tour Monte Rosa, an epic trail race designed by no less than Lizzy Hawker, who in herself is an absolutely stunning multi-day ultra-runner. Lizzy came up with this beast of a race, or should I say beasts of races because now there is more than one, there is the big one which is a 170 km with 11,300 meters of vertical, there is a four-stage race which is basically the big one broken down into four days and then there are the Ultra Three Passes which is 100 km with 6420 meters of vertical gain, big statistics. 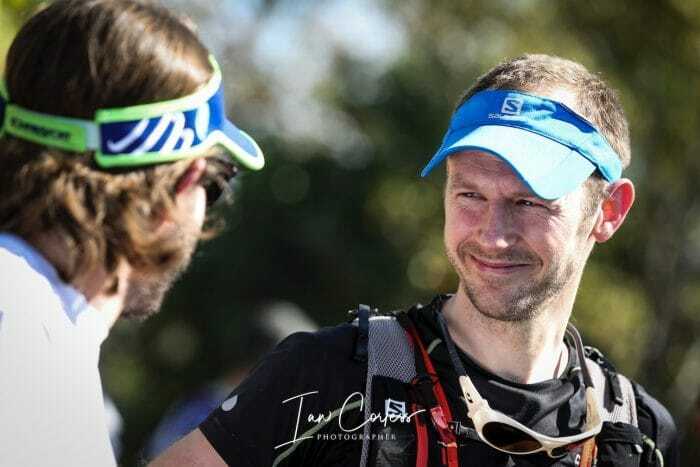 I wondered, what enticed Damian to tackle the UTMR instead of UTMB in 2019? Vertical climbing is a key element to a race like UTMR, as well as the descending as Damian has mentioned. Breaking training down into blocks, ‘periodisation’ is important, I asked Damian how he approaches these elements. Adding races into training can be difficult, especially if one of those ‘other’ races can be as important as another ‘A’ race. For example, Damian hopes to run Western States which is close to UTMR and the courses are very different. 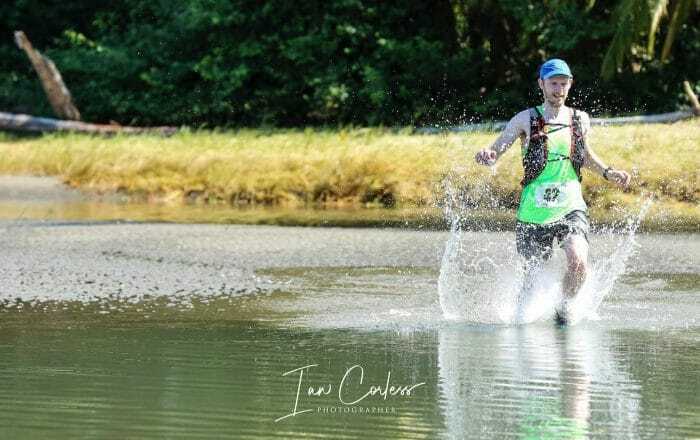 “I’ll take two if not three waterproof jackets because probably the last weather forecast, the day before the race, will probably determine which one I take. With UTMB, I learned in the past that the weather can do anything and you’re not really sure. You need to be prepared for bad weather in the high mountains. Any jacket should have taped seams and of course one needs appropriate trousers to go with the jacket. “I’ll probably, depending on the time of year, take a Protec-Shell which is probably a winter jacket. I wouldn’t expect to use that, but you never know, the weather really might come in and you don’t want to be caught out. I don’t expect to race in that, but I’ll take that out with me just in case. “Base layers, I use merino wool because that just gives you a little bit of extra warmth. For the last two years at UTMB I’ve worn merino gloves. I’m pretty sure they’ll be on the mandatory kit list. If the weather is rough, I might be taking two, I might be taking a pair of mitts to go over the top of the gloves. I imagine there’ll be some mid layer. Again, that’s a tricky one. Sometimes if you go the lightest possible then you might get caught out. Again, I’ll probably go two different options maybe a merino one and maybe a PrimaLoft. I’ll probably take a light pair of tights as well if it’s on the mandatory kit. “Poles still causing some debate definitely in some British circles where I think they still get called cheat sticks. About whether they’re really useful or not, in the last couple years, I’ve seen definitely even people like Jim Mann and Nicky Spinks, Jasmin Paris and so on use them. Personally, I think they help me with long climbs. I can’t prove they do really unless I suppose I did a huge climb without them and then a huge climb with them to compare. I suppose I’ve never actually done that. Some of it may be psychological. You might feel you’re climbing better with them, but I really believe in this sport the mental side is so important. If you think you’re climbing well, then chances are it will help, positive mindset is key and think. I really feel they helped with climbing. It’s not just spreading the load of the muscles. It keeps you more upright as well which can aid your breathing. It also means your muscles, especially your quads, get less stress because there’s always a temptation to bend. Practice in training is essential, especially on your long runs. Also, press-ups are excellent to tone the required muscles. 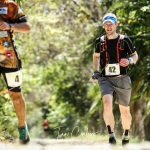 Training for… A series of new articles brought to you by the multi-stage and ultra-running specialist store myRaceKit, you can find our selection of specialist equipment for UTMR here.